This is a shameless plug. 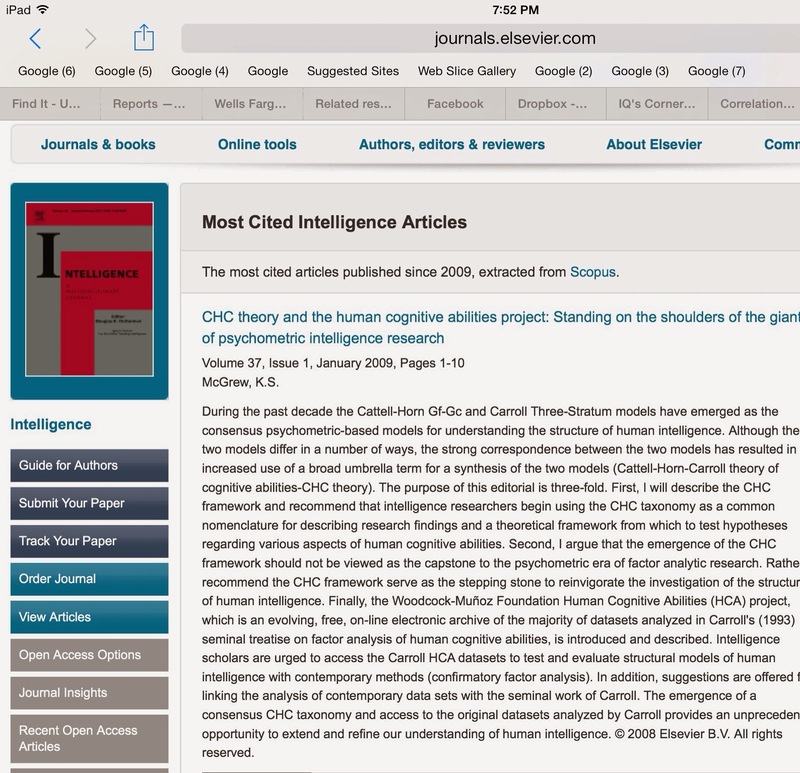 An invited editorial I published in the journal Intelligence is now the number one cited article, since 2009. I believe this is a solid indicator that the CHC model of intelligence is now the most prominent psychometric model of intelligence and is in the mainstream of intelligence research. My mom and dad should be proud. Click here to review or download.